HOME > EVENTS & PROMOS > PROMOS > Easy Rock’s Office Blowout is back! Easy Rock’s Office Blowout is back! 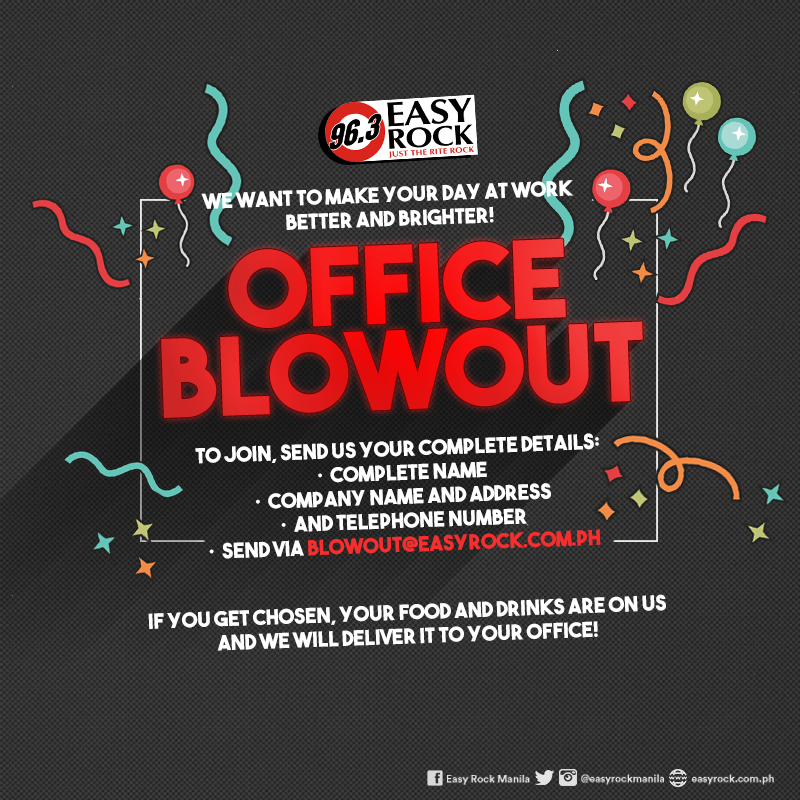 We want to make your day at work better and brighter that’s why we are bringing the Easy Rock Office Blowout back! If you get chosen, your food and drinks are on us and your favorite jocks Samantha, Chloe, and Nick will personally deliver it to your office! What are you waiting for? send your entry now!